The Orchid is one of the most popular indoor plants that we have around. Despite the fact that the exotic flower is readily available at all the home and gardening stores, not many people understand how to properly care for the plant. Orchids are one of nature’s most beautiful flowers. You can keep yours healthy by making your own homemade orchid plant food. 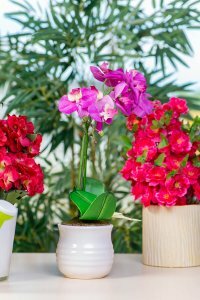 If you just got your orchid and are wondering how you will take good care of it, here are a few things that you need to know about different aspects such as watering, pruning and most importantly, how to make your own DIY homemade orchid fertilizer. There are many things that go into the process of caring for orchids. Understanding these care tips is what will prevent you from coming home to find a dead or dried up plant. Also, when the orchid is cared for as it should be, you get longer lasting blooms. 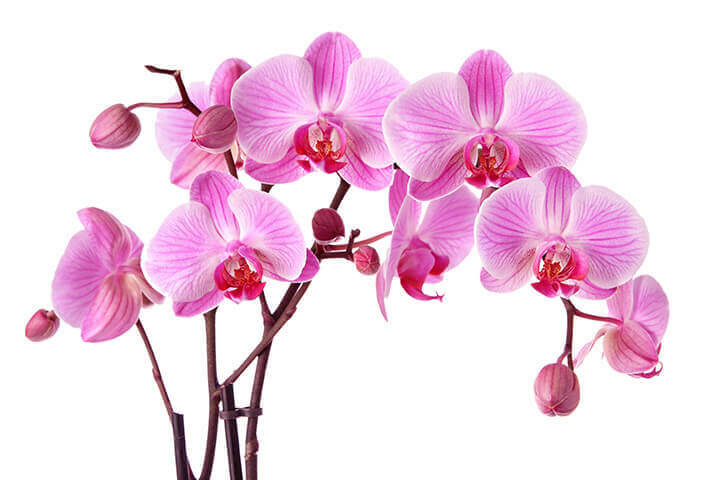 Many people assume that because orchids are tropical plants, they need a lot of water so that they can properly bloom. They end up watering the plant several times in a week and at times, even daily. The worst thing about this frequent watering is that it starts rotting the roots and eventually, the plant dies out. The reality is that orchids require less water than you might think.. If you have it as an indoor plant, you should only water it once every five to twelve days, depending on the particular type of orchid that you have and the humidity level of your home. This is a general rule, and the prevailing temperature and humidity conditions will also play a role in determining the amount of water. If it is an outdoor plant and a lot of evaporation is taking place, consider watering it a little more often. If you have Paphiopedilum, Cymbidium, Odontoglossum, or Miltonia Orchids, make sure that you keep them relatively dry at all times. If you have Cattleya, Brassia, Dendrobium or Oncidium, keep them wet during the periods of active growth and allow them to dry in between. Phalaenopsis, Ascocenda, and Vanda should only be watered when the weather is hot and dry and allowed to stay dry when the weather is humid. The shops that sell the plants are always willing to help if you get stuck figuring out the name and species of your orchid. There are many reasons behind orchids failing to bloom as they should. The state of the orchid is usually the first indicator as to whether it is blooming well or not. If the plant you have is healthy with thick green leaves, and there are no droopy or brown leaves, you can just cut the orchid on the node and expect it to send a bloom to that location within a few days. However, if the leaves have started withering, you may be dealing with either a sick plant or poorly nourished plant. In case the plant has not been receiving all the nutrients that it should, you will need to assess the fertilizer type that you have been using and adjust it accordingly. Not all fertilizers are created equally. 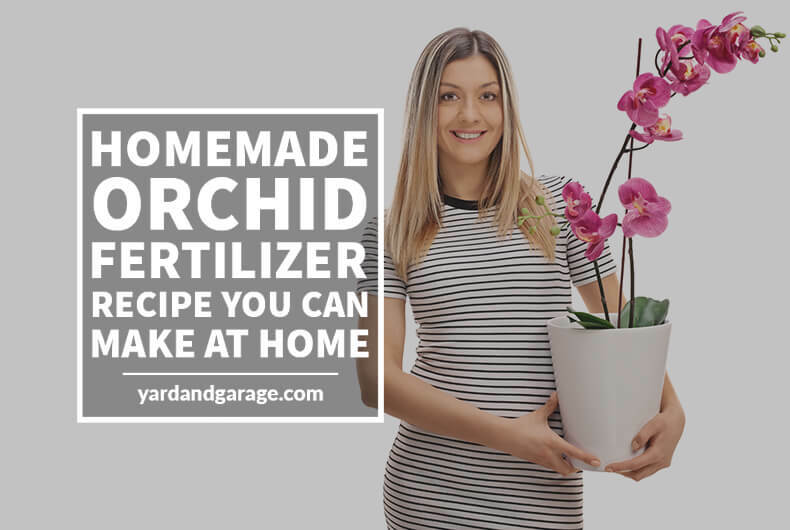 An all-purpose home-made orchid fertilizer should have a number of ingredients that will help you get all the nutrients that you plant needs. These ingredients are great because they provide the plant with a number of nutrients that are basic for them to thrive. Some of these nutrients include nitrogen which helps foliage, shoot and stem growth. The second is phosphorus which ensures that your orchids root system is growing well. The third is potassium which helps the orchid to flower. Each of the ingredients, therefore, has a role that it plays in the provision of these nutrients. For instance, milk contains Nitrogen, Potassium, and Calcium and also traces of Magnesium. You can create a DIY orchid fertilizer by simply mixing a quart of milk with a gallon of water (or any 1:4 ratio) and using it to water the orchids weekly. Tea, on the other hand, contains Nitrogen. 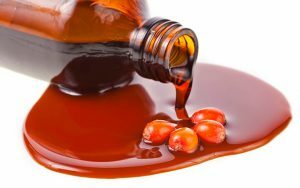 To make this into a fertilizing ingredient, you just need to open a tea bag and pour out its contents onto the pot containing the plant. The most important thing to note about orchids and the process of making Nitrogen fertilizers for them is that for the fertilizer to be effective, it will need a higher than regular nitrogen level. This is because the potting is usually made of tree bark. This bark contains bacteria which consume some of the nitrogen which will be in your fertilizer. When you give a higher concentration of Nitrogen fertilizer to your plant, you are ensuring that regardless of the amount the bacteria take up, your plant still gets enough nutrients. 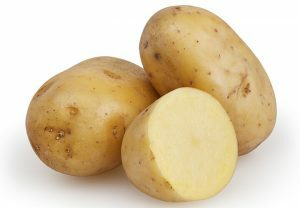 Potatoes, on the other hand, have a very high concentration of potassium and also traces of phosphorus. You can make this fertilizer by simply boiling potatoes and peeling off the skin. Chop the potatoes and then add some banana leaves and sugar to the mixture. This is the mixture that you will add to the pot and use as a source of potassium and phosphorus for your orchid. 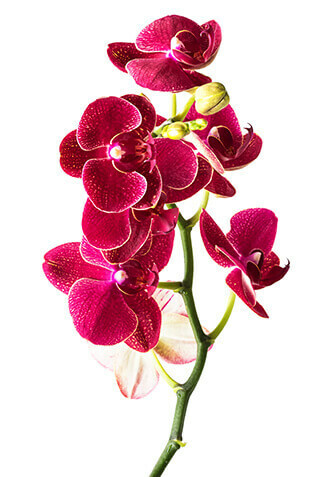 Note that the levels of potassium that your orchid is receiving will determine how well it blooms. This one is really simple. You just need to take a teaspoon of molasses and add to water and then make it part of your daily orchid watering routine. When combined with the other homemade fertilizer types, it gives your orchid all the nutrition that it needs to grow. 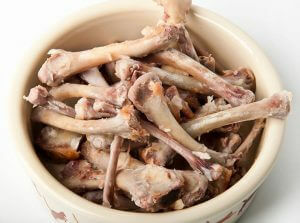 Chicken bones are very rich in potassium and calcium. You just need to dry the bones and then crush them and after that, add them to the pot that contains the flower. When the orchid takes up the calcium, it will look healthy and stronger. The other alternative which offers calcium to the orchid is eggshells. You need to save your eggshells after you have cooked the eggs. Crush them into tiny pieces and then use a mortar and pestle to grind into a fine powder which you can add to the plant. Epsom salts contain a number of minerals with the most prominent being magnesium. You can get your plant all the magnesium it needs from adding a teaspoonful of these nutrients every now and then. 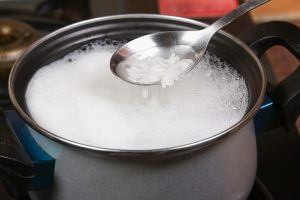 Regarding the rice water, you just need to take some water that rice has been boiled in and allow it to cool. Use this on your orchids often to get nutrients such as niacin, thiamine, riboflavin and folic acid to your orchid. 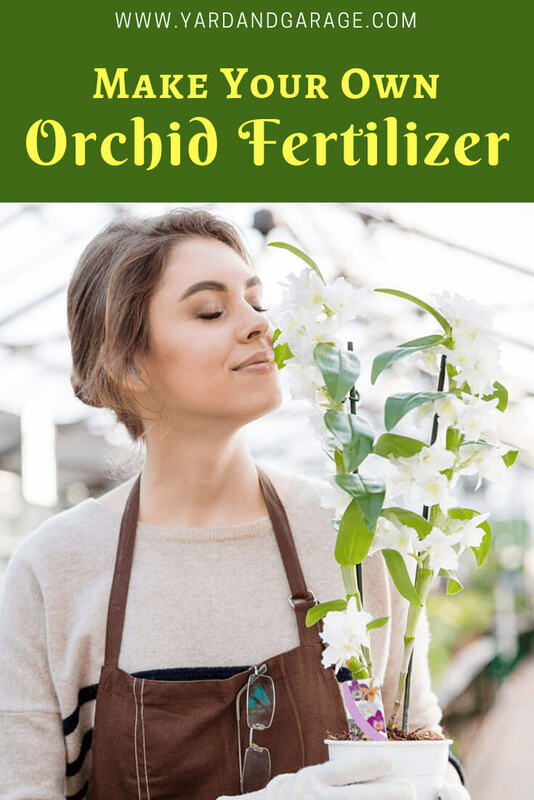 These fertilizers are a quick serve solution which makes it possible to offer all the nutrients that your orchid needs with ingredients which can easily be found in the home. However, there is a risk that using homemade fertilizer comes with, over-fertilizing your plant. In order to avoid this mistake, you have to keep watching your plant for signs that it might have been over-fertilized. The flower develops whitish crusting on the potting medium. When the roots start turning black. The leaves start drying up and turning brownish at the tips. It is, however, important to note that even with all these signs present, it is still a little tough to determine whether your plant is really getting more fertilizer than it should. The essential thing is to watch the plant carefully. In case the plant develops signs of poor reaction to the fertilizers, try and reduce the amount. The other option that you have is to buy commercial fertilizers. Before using one, check out the nutrients on the NPK scale and take the one whose ratio corresponds to the needs of your orchids. 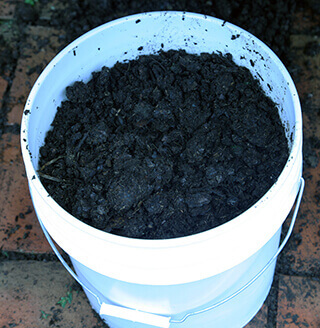 Bucketful of my homemade compost.Another fertilizer option that is available is compost. It is safe to use as long as it is fully composted (not hot compost). But generally, it does not contain all the ingredients that you would want in an enriching orchid fertilizer. It is, therefore, best to add a few of these homemade alternatives, even when you are using the compost. 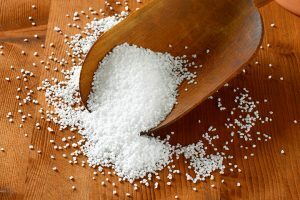 Finally, it is important to note that while these “common ingredient” homemade fertilizers may seem extremely easy to create, it is really hard to make fertilizer that has perfect NPK levels at home. Keep mixing up these fertilizers with commercial alternatives as this is the best way to make sure that your plants are getting all the nutrients that they need. Most importantly, keep checking the status of the plant and whether it is blooming as it should. This is usually the first indication that something may have gone wrong while creating your homemade fertilizers.